'Tis the season to be jolly… But can Eve find happiness through the frost…? 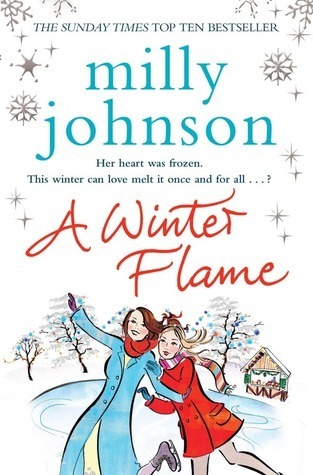 A gorgeous, heart-warming winter’s read! I so enjoyed reading Milly Johnson’s latest novel, as a massive fan of her writing (and not JUST because it’s set in Yorkshire) I was eagerly awaiting this latest tale, and I certainly wasn’t disappointed with what she produced! One of the really lovely things about this novel was that, although it wasn’t a sequel, some of the characters from her previous novel ‘White Wedding’ made cameos and it was a lovely feeling to catch up with them so to speak! The man character Eve is a little hard to warm to at first bit this is down to the way Johnson has written her. She is mourning the loss of her boyfriend who was shot on Christmas day, and is suddenly thrust into partnership with a man she has never met before to run a theme park entirely dedicated to Christmas, of course she is feeling down and sombre! When Eve finally begins to warm to the idea of this new theme park, watching her relationship with co-owner Jacques develop and change is lovely. Although the storyline between these two characters is somewhat predictable, it is predictable in a comforting way, you want so much for her to see him in the same way that he sees her, and readers will be pleased to find out that there is more than one twist in the storyline involving these two! The winter theme of this book makes it a great read for this time of year and the author cleverly avoids the temptation to make it all about Christmas and so you don’t find yourself choking on tinsel at the turn of every page! The sub-plot involving Eve’s cousin Violet from Johnson’s previous novel is just as lovely as the main storyline, and I think that it is something that a lot of female readers out there will be able to relate to. Even if you were not already a Milly Johnson fan, you will be able to pick this book up and enjoy it in its own right. I highly recommend snuggling up with this novel on a dark chilly night and enjoying the characters, the events and the magic with an equally comforting mug of hot chocolate! hahaha..i am glad there isn't any tinsel choking..LOL This sounds like a fun read! Awesome review Mary! I'm reading it right now and it is so much fun! It's my first time reading the author and I had no idea some characters were coming back from previous novels. I'll have to check it out!